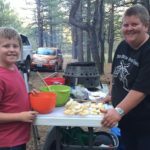 Check out the latest news on the Northern Sierra Dutch Oven Group. 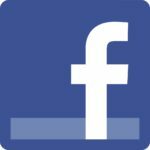 Follow us on Facebook and subscribe to our own YouTube channel. Click on the photos or titles to link to each media item. 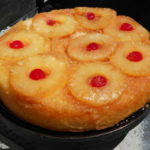 Pineapple Upside Down Cake anyone? Dutch oven cooking seasons the soul. Click on the photos or titles to link to the videos. 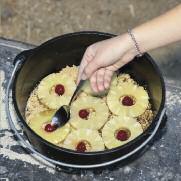 Did you know you can deep-fry donuts in your Dutch Oven? With a little help from a volcano, of course. Lori and Danny show us how it’s done! 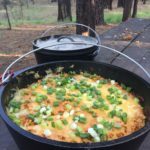 Try out this simple yet tasty potato dish while camping, for the holidays or anytime in between. Aspiring teenage hot air balloon pilots must embark on their adventures with full stomachs. NSDOG was invited to prepare their opening dinner, which included Philly-style sandwiches, grilled vegetables and peach cobbler. NSDOG teaches a number of hands-on classes throughout the year. 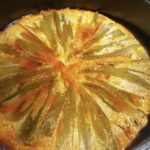 This video features one on how to prepare a variety of main dishes like this amazing, beautiful and tasty chili relleno. Nevada’s western heritage through cowboy poetry, music, arts and crafts, and so much more! 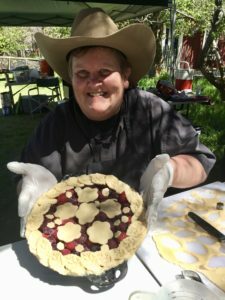 Cowboys and cowgirls, performers, volunteers, and the general public pass through our scenic camp over two days to sample our menu and to just say howdy!